SMOKING HOT!!! Signup For The Chase Sapphire Preferred Card, Spend $3K In 3 Months, And Get 50,000 Points! Good For 50,000 Continental Miles, British Airways Miles, Hyatt Points, A Ticket Worth Up To $625, Or A $500 Account Credit Or Gift Card!! Need To Meet A Spending Threshold Deadline? Get Waived Fees On AMEX Gift Cards! There is no annual fee for this card for the first year, but it’s $95 after the first year. 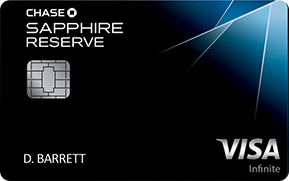 Chase allows you to downgrade to the “non-preferred” version of the Sapphire card which has no annual fee. However be sure to transfer your points into miles before downgrading as the “non-preferred” version does not allow transfers into miles! There is no foreign exchange or foreign transaction fee on when you use this card overseas! 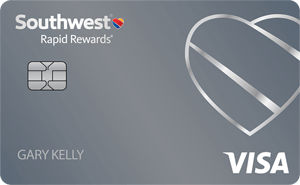 You also get a 7% bonus on spending every year, so you actually get 1.07 miles per dollar spent on this card, which is very good if you want Continental miles. You get this 7% bonus at the end of the year, regardless of whether you have already redeemed the points. Chase Sapphire points convert into BA miles, Continental miles, or Hyatt points at a 1:1 ratio and they transfer over instantly whenever you want. You can also transfer your Continental miles into United miles. Continental and United do not charge fuel surcharges on award redemptions like British Airways does. You can transfer the points to anyone’s mileage or hotel account-it does not need to be in your name! 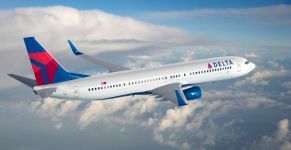 50,000 points is enough points for 2 US48/Canada airline tickets on American via BA miles (OneWorld partners) or on Air Canada, Continental, United, or USAirways via Continental miles (Star Alliance partners). It’s more than enough points for 2-5 nights at any Hyatt in the world (Hyatt nights with no blackout dates or capacity controls go from 5,000 to 22,000 points per night) including Park Hyatt properties that can go for $1,000 a night! You can also use the points to book paid tickets directly from the airline through the Chase airfare tool. With 50,000 points you can book a ticket worth up to $625 and you’ll even earn miles on the ticket. Personally I’d still go for the highly valued Continental miles, but if a domestic redemption is what you’re looking for it’s not a bad usage. Or you can always just use the 50,000 points for a $500 gift card or a $500 account credit for spending on whatever you would like! Points can also transfer to Amtrak, Priority Club, or Marriott, but those transfer options are less lucrative than the others. 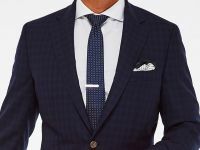 If you have a Chase Freedom card, a Chase Checking account, and a Sapphire Preferred account you can earn 10 points for every transaction (even for transaction of just a penny!) 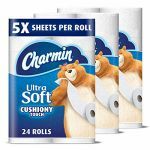 made on the Freedom card and up to 5 points per dollar by spending in rotating categories on the Freedom card. You can then transfer those points to your Sapphire Preferred card and change then into valuable miles from BA, Continental, or Hyatt points at a 1 point:1 mile ratio! The Chase Sapphire Card also offers return protection of up to $500 per item. If you buy something you don’t like you can just return it to Chase within 3 months of the purchase and get a full refund! I wanted to return a $340 item a few months after I bought it and got a refund check in the mail within 2 weeks of returning the item to Chase! 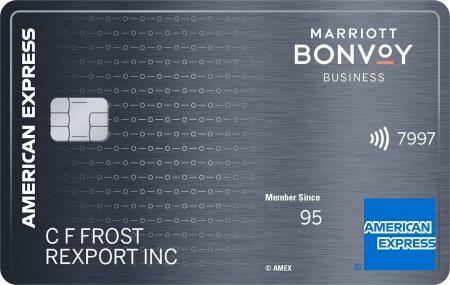 There are also a number of items that you can’t return with the Starwood Preferred Guest® Credit Card from American Express that you can return with the Chase Sapphire (and vice versa). You can read about them in this post. Whenever you call Chase Sapphire customer service a real live US-based human being always answers the phone immediately without going through any touch-tone systems or having to push “0″ repeatedly. If only all companies offered this! 233 Comments On "SMOKING HOT!!! 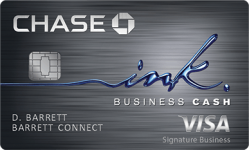 Signup For The Chase Sapphire Preferred Card, Spend $3K In 3 Months, And Get 50,000 Points! Good For 50,000 Continental Miles, British Airways Miles, Hyatt Points, A Ticket Worth Up To $625, Or A $500 Account Credit Or Gift Card!!" I’m not sure, but it is a limited time offer. If you have a Chase checking account you can also ask a banker in a branch to send in a reconsideration request form if you are rejected for a Chase credit card. Is it for first time card holders only ? oy i just applied for the ba chase card, together with my existing chase freedom card would a third card be too many for chase to allow? Is there a business version of this offer? I have 6 active Chase cards and will likely try for 7! Their reconsideration department is very good. And 50K points for free is still nothing to sneeze at! Can you transfer the points from this card to anyone’s Continental account or does it have to be your own? Do the names have to match? You can transfer to anyone’s Continental account. Not a good idea to paypal yourself $3,000. Paypal isn’t going to like that as they consider that to be a cash advance. You can send $3,000 to a friend and have him just give you the cash. You can also use Amazon payments or AMEX Serve where you can send money to friends and they don’t charge any credit card processing fees! Both AMEX Serve and Amazon payments have limits of how much you can do for free each month. oh i got it… and how much is that limit per a month? and does paypal also have a limit? 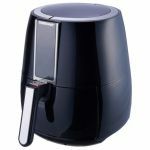 I invite to come on over to http://www.dansdeals.com/forums to discuss it further. So Dan what should I tell the reconsideration dept.? I usually ask them to close an older account in order to approve a new account and move the credit from the older account to the new account. I am pretty sure this is not true for domestic redemptions. A stopover costs you 35,000 in coach, instead of the usual 25,000, even if saver inventory is available. I just booked one to test and used Houston as the stopover point since it is absolutely on the published routing for the trip and got the 35k price. I also tried the open jaw, and was successful with that for no additional cost. So clarify if you have new information. Can I do a balance transfer for 3k to pay off another card and would that be considered spending 3,000 miles on the card in order to get the 50k continental points??? not so hot, you gotta spend 3k? dan, ur a rock star! if i want to open this cc just for for the short term benifits( the miles) and then i would cancel the account, how does that effect my credit, meaning the opening and closing of the account? also, if it does effect my credit, is it better if i keep the account open. and does it make a diff for my creidt how quickly i close the account. ive wanting to get clarity on this topic for a while. thanks alot dan. I have a high credit score but not many cards or credit and chase denied me saying that I don’t have enough history. Do you think calling the reconsideration department will help? I’d take a lower line to get this. What do you think? Txs! I applied for the sapphire card a year and a half ago and was rejected because I didn’t have enough credit. I then got the chase freedom card, and spent around $50,000 on it in the last year and half, without missing a payment. Do you think I would now be able to get approved for the sapphire? I don’t want to be rejected again. How bad does it affect the credit score to open & close credit cards often? Continental allows a free stopover on all awards except for the US48/Canada 25K award. It’s really not so hard to spend $3,000. Between mint coins, amex gift cards, amazon payments, amex serve, and many more ways as talked about on http://www.dansdeals.com/forums you should be able to do that in no time. I applied for and got approved for 3 Chase cards a couple weeks ago with some help from the Chase reconsideration departments. I only got 1 credit hit. Just use different web browsers (Like IE, Firefox, and Chrome) and hit submit on one after the other. I usually don’t cancel an account outright. I’ll keep it and then apply for a new card and have them move over the credit line from the old card to get another new one approved. I’ve cancelled hundreds of cards over the years though and still have a credit score in the high-700s. I’m sure you can get approved now. Even if they do reject you be sure to call reconsideration and see what they can do-they work miracles! I do it all the time and still have a top-notch score! if you take hyatt points can you then transfer to miles.. is it worth it, or only from starwoods? Which miles are you looking for? Does BA or Continental not work for you? The only hotel points that are really worth transferring to miles are Starwood Starpoints. You’ll lose too much in the Hyatt transfer. If I make a British Airways reservation with miles, do they charge to change things like dates, times, departure/arrival cities, etc…? I know some airlines do, but is BA one of them? How do u track all ur cards/points….do you have some sort of spread sheet..
DAN, DOES CHASE STILL ALLOW YOU TO APPLY FOR 2 CARDS USING ONLY 1 CREDIT PULL? 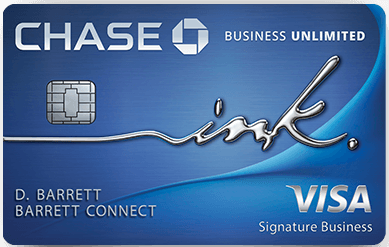 i just got my BA card, should i wait to apply for a new chase card? if ye how long? Dan, I dont plan on using the points for flights. Is there a company that you recommend that buys 50k points? I already have the chase Saphire (not preffered) version. Anyway to convert it to the preffered version? Or do I need to apply again and close(or combine) the other account? A little off topic, I recently got the chase presidential plus card. 1 of the benefits is platinum level at Hyatt. Is it worth anything? for some reason I cant seem to find a way to add the saphhire to awardwallet please help! Thanx dan! Just 2 questions: 1, if i write that im a student will it ruin my chances of getting approved? And does the gross household income have to be accurate? Do they have any way of checking? 2, can i buy coins from the mint to spend 3k and then deposit it in my account to pay the cc bill? If I applied for the BA card a month ago- will chase need to pull my credit again? Also- if I want to transfer my chase credit from another Chase account to this new card- do they have access to all the cards on their computer? I have the feedom cc and the BA, i called them to close the freedom one and transfer the credit to the BA cc and they say that the cant do that, i asked why and she said, you cant, period! do you have any idea why i cant ? and how should i do to be able to do that? cuz the freedom it doesnt really give me anything. I applied for the BA card with perfect credit, and they denied me, saying that I got 3 chase cards in 8 months. Is there anything to do about it, and will they also deny me if I apply for the Sapphire? I have a chase saphire card for about 10 months besides for a chase freedom card that I have for a few years, can I still get this offer? And would I be able to downgrade it before the 2nd year? 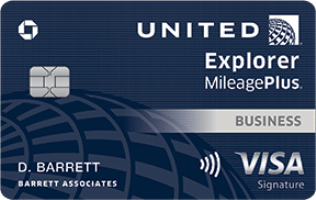 i have a ba card with 100k miles, if i get this card is there anyway to transfer all the miles to a continental card? I got approved for 3 chase cards with 1 credit pull 2 weeks ago. Probably 30 days between apps. Apply and then call reconsideration. There’s a banner on the top of the site to sell miles! You’ll need to apply again to get this bonus. Sure, check out http://www.dansdeals.com/forums for more discussion of off-topic questions though. It goes by household income. Chase doesn’t verify it. You can buy mint coins. They can transfer credit lines when you open the card. They will probably pull your credit again. The Chase Freedom card is actually great if you also have a bank account. They give 10 points per transaction…even on one penny transaction! 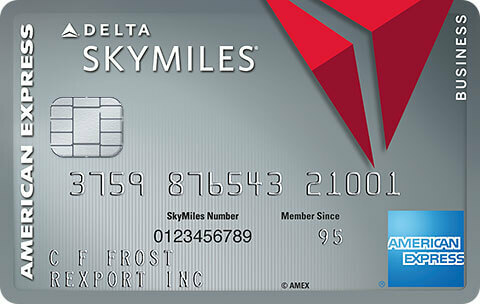 If you also have a Sapphire Preferred you can then transfer points to miles! You can only transfer lines/close cards when you apply for a new card. You can try. If they deny you just call reconsideration and have them close the regular sapphire to approve the sapphire preferred. No, those miles can’t be transferred from BA. I opened up this account on 3/28.At the time there was a promotion of receiving 25,000 after you spend $3000. I should be credited that amnount after the enxt paymeny cycle.I just have 1 request.You currently have promnotion offering 50000 miles for spending the same amount of money. I would appreciate if you would credit me the extra 25,000 miles being that i opened my account so recently. points on your Chase Sapphire Preferred card. account and this adjustment has been reflected online. and annual fees will stay the same. If I previosuly had a Chase Sapphire before, and canceled a couple of years ago, would I still qualify for the 50,000 miles? Considering that you can always cancel/downgrade for at least 30 days after the annual posts the 2nd year you should not have a problem getting the 7% bonus. Apply for this card and then the card combining department can help you. Do they charge you to move your miles to continental? and if so how much? Thanks! Nope (unlike AMEX which has a small charge) there is no charge at all for transferring Sapphire points to miles! Dan, Im going abroad. Would this be the best card to use to avoid fees? Do they really charge no fees? Or do they have a bad currency exchange? 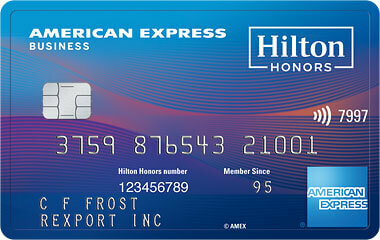 Would u advise to use this card, the amex starwood or pehaps a chase ba or contin? or capital one? Can I apply for this credit card for my business? Do I just put the tx id in the ss# field? Applied for this card, was denied (had opened continental card just 15 days back). Called the reconsideration department and asked them to move the credit lines and got it approved! Thanks Dan for all the information! dan just got the CO 50k mile card from chase. I want to wait a while to before I open this card. How long do you think this offer will be around? This card is great for abroad. Excellent exchange rate and no fees! This is a consumer card. 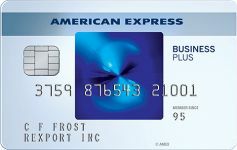 There is no deadline, this card will continue to transfer to Continental points even after AMEX no longer does. I tried calling Chase reconsideration as they denied my app for the hyatt and BA cards (I accidentally did both apps in SAME browser – misunderstood the distinction). They said I had too many recent inquiries from various banks. The reconsideration dept. guy told me that they won’t open new card for me even if i lower/transfer credit line from other chase cards i have. I have 20k credit between united and continental cards. I stressed by perfect history/high credit score but he wouldn’t budge. Is it worth calling them back if their reconsideration dept says no? I even got a second denial letter. Is it even worth applying for this offer instead? On a side note: I just got approved for my third amex platinum though I had to call to get them to push the app through as it has only been 45 days since I cancelled the last one and thier system therefore cancelled my app. We’ll see if I get another 50k. I applied for the BA card over a month ago, but had to call to get it approved- and that was less than a month ago. I would like to apply for three new Chase cards. Should I wait 30 days from the application date, or 30 days from the approval date? The reconsideration is great. I was rejected for the BA Card as well as the Sapphire card. I called Chase and got approved for both cards. The freedom card also has 5% cash back for different categories each quarter. This is sometimes worth more than points, but you have to wait 6-8 weeks to get it. For example April thru June you get 5% back on home furnishings, gardening supplies and other things. My daughter just ordered beds for over $1000. 1000 points are worth $10 but 5% back is $50 so that is pretty good. yay!! got the card 2day….thanx dan!!! @Dan: dan do you know if chase recodideration dept does another hard pull? Dan 1)if ally for amex and chase the same time do they each see that i applied for other bank at the same time. DAN, WILL AMEX FORSURE PULL MY CREDIT ON A NEW APPLICATION (THEY JUST PULL IT IN FEB FOR PLANTINUM CARD) I HAVE 3 AMEX CARDS IN GOOD STANDING? Dan, I got turned down for the chase sapphire card for two many accounts open thru chase (3 total, 1 BA, 1 marriott 1 disney visa) I called them today and they offered to close the disney visa (no issue wife has one) to open this new card. He did say it COULD go towards my credit? Is it worth a current 786 credit score or hold off? Thanks as always! Sure, have them apply your Disney credit line to the new Sapphire card. I just spoke with a senior account supervisor with Sapphire and he told me that there is no way I could get the 50,000 points if I signed up for Sapphire Preferred. I currently have a regular Sapphire card. Anyway I could be eligible for 50k points! Thanks! When does the 3 months begin, from card activation or from approval? Or some other time? i applied for chase sapphire, united and continental in 3 browsers at the same time on sun. thanks dan. when i called i was able to move the required min. of 5k line to the sapphire and it was approved. 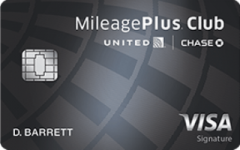 they told me the united was declined b/c i already have that card… but can cancel it and then immediately apply again. the csr said not to try for the continental today since it’s less than 30 days since i got my BA chase card and they wont give me more than 2 cards in 30 days, but if i wait till thurs it’ll be 30 days after my BA card was approved and then call to try to approve the current pending status. how do you get the saphire busniess? any word on when this offer expires? The forum members all had success sending Chase a secure message from their online account at chase.com. Try that route and let us know how it goes!. I have the Chase Sapphire card from when the introduced it a few years ago (with a 25K bonus). Will I be eligible for the new card/bonus if I apply? dan – for 2 years i have been closed out from chase i beleive for buying coins – they keep on rejecting me – any good ideas to get back onto the chase circuit? and support, including one between a bank and a customer. 50,000 points to the rewards balance on your account. This adjustment will reflect on your next statement. I just applied for my wife and got approved but was denied via phone the additional 50K points. I need to wait for the card to see if the secure message works. On another note, I personally have the sapphire card. Can I transfer the points from my wife to myself without any issues? The card should show up in your online profile within a couple days, usually before you actually get the card, so just keep checking! People have said that you should be able to transfer points between people in the same household but I haven’t tried it myself. Dan do you know which department to send the sm to? Dan I just got my card a few days ago and already activated it. Can I call or message them about the additional points? or is it too late? Just applied for the Chase Saphire Card. What is S6V and when do I send the message or call to try and get the additional 50,000 points – immediately after approval? 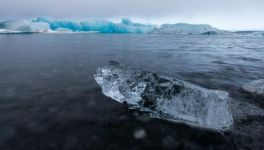 Is there a better chance of them giving me the 50,000 extra points instantly without waiting for the 3 months if i call or send the secured message – what do you think? Also, how long does it take for me to check my application status for approval – what’s the fastest way to check the most updated status? Absolutely you can message them. As soon as your card shows up on your Chase.com online profile you can send a secure message. It’s unknown at this point. If anyone tries it let us know! I wans’t instantly approved, called in 10 minutes later and they said I was approved. The card does not show up in my chase online account, how long would it take to show up there? I just got my points from my ba card is there a way to transfer my line of credit to this new card without them taking a credit pull? And still keeping both points? dan you write that its 120,000 points to israel yet when i go to the continental website its 150,000 each way? Give it a few days or so. You need to apply for this card to get a new card bonus. If they deny you then you can call up to switch the credit line from another card to this card. You need to learn how to search Continental partner availability to find 120K business tickets. 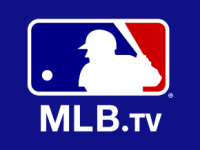 Head on over to http://www.dansdeals.com/forums and start reading to become a pro! Congrats! Not hard at all, was it? @abek: What number did you call? Did you have to ask them to give you an instant decision or did they just tell you you were approved? Called 888-245-0625 they said it was still to early and thye dont know yet, I called back 5 minutes later and when i gave them my ss # the rep told me I was already approved. I recently received the chase preferred sapphire card. When I applied I received 50 thousand points. But i am dismayed because my friend just applied for the same card with the code S6V and received 100 thousand points. I just left american express and came to chase and cannot believe that only some people will receive 100 thousand points. If you can please let me know if anything can be done it will be greatly appreciated. will reflect on your next statement. 1st $3,000 in purchases within 93 days of open date. Both me and my wife recenly siged up for the 50K Saphire promo. I sent a secure message that I wanted to be matched to S6V and got the folowing message for both of us. I will be unable to apply the same offer to your account. adjustment will reflect on your next statement. spending $3,000 in purchases within 93 days of open date. Thanks Dan for the Heads up! I was wondering if you could match offer S6V and add an additional 50,000 points to my account. thank you. offer on your Chase Sapphire account ending in . $3,000 in purchases made within 93 days of open date. Just used your 2 browser method last night to apply for this twice. I call in today, they said since I used the same “offer” twice, they denied one, and the other is still pending :-(. They didn’t respond to my inquiry so I resent an email. Within an hour I had an additional 50k deposited and the 50k to match the current offer. This means I will be getting 50k after spending the 3k dollars and an additional 100k!!! Thanks so very much. I just took care of this offer last night, and magically this morning I received a similar reply that Abe ( the reply above mine) received. It really works!!!!!!! I got the same response as Abe above from the same customer service advisor and the 50,000 points have been deposited into my account already. Dan, I wrote them last night. just got a response that they added an additional 50,000 points and I should see it on the next statement. This is awesome!! Congrats to all you guys who got the bonus 50K, well done! Looks like everyone who has sent a secure message online has been approved for the bonus 50K so far! Yech, shoot. Didn’t realize that. Guess I should have checked first. I thought I saw people receiving like 2-3 british airways deals…. Now with all these Ultimate Reward points, where do we put them? Especially since many of us had errors done with account and got extra points (like me), we want to move points out sooner then later. With Amex ending MR points for Continental in 3 months, is Continental still best value? I see as far as staying at Hyatt (w/o Hyatt Chase), we can spend 4-5 nights in Grand Hyatt anywhere with 100K points. No other card seems to be able to compete in obtaining Hyatt points so quickly. thank you for choosing Chase to handle your account. corner of the Account Details page. why cant i figure out how to emal them?! i have other chase cards registered online but i cant seem to figure out how to register my saphire cards?? Hyatt and Continental and both great options. There’s no clear-cut answer I can give without knowing your exact travel plans and redemption uses. When did you get the card? Sorry, I’m confused. How do I get the 50,000 points just for sighning on? I don’t have a Chase bank account. I understand that I will get another 50,000 points when I spend $3,000. Applied for the card and got denied.. Called in Recon a few times and got approved! Thanks a mill for all the info! I got the card and welcome this Saturday and do not see the 50k bonus points offer anywhere mentioned… Is that normal? Am I automatically enrolled in the 50k bonus miles (the initial 50k), or do I need to do something to get this bonus? I’m asking cuz I wanna go ahead and send the SM regarding the “additional” 50k points.. Create an online account at Chase.com to send secure messages. Congrats! The Chase Reconsideration folks are the best in the industry for getting denials approved! That is normal. As long as you applied from my link for the card you will be getting the 50,000 points for spending $3,000. Now you can send an SM to them asking for another 50,000 points with the offer code in the post. The card should automatically populate in your Chase online account. If it’s not there may have to call Chase to get it put there. I alternate openning accounts in my husband’s name/ss and mine. In either case I get a second card for the other. Thanks Dan! sorry for bothering,, just a quick question.. This just worked for me! They gave the 50,000 points instantly! Thanks Dan! You’re the best!! I sent a mssage on Fri asking them to match the offer for 80,000 which they did, then yesterday i asked them to adjust it again to 100,000 and they did it again! As soon as you see it online! You will have to wait a couple days for the card to show up in your account. Just got the extra 50,000 points within 5 minutes. I just recieved an extra 2,500 points on top of the extra 50,000.Do u know why? what is a number we can call to get the 50k extra points added? I GOT THE SAPHIRE CARD WHEN YOU ORIGINALLY POSTED ON 5/18 IF I SEND THE MESSAGE NOW FOR THE 100K WILL IT STILL WORK? Congrats and your welcome! That Vegas trip was incredible-and now you have more than enough miles to do another! Wow, Chase really is good! who u send the message to what do u right?? I got the 100,000 points for me and my husband after sending the secure message from each of our accounts! I never even got an email reply, they just simply credited each account for the additional 50,000 points!! are they approving on the spot? cause i got the 7 day wait for a response? You got the additional 50k + 75k? or you got just 75k instead of 50k? how did you do it? what did u say? was it through their SM? How do I send the secure message asking them to match the 100k offer? Can I simply just call and ask? way to go Dan! I think a question that many people have is the terms seems to say that you aren’t eligible for these offers if you already have that card. How do we get around that? I got approved. How do I create an account with out the card? I don’t have a account Number. do you just ask them to “match offer s6v” or do you have to mention something elso too? and what is offer s6v? I already have a non-preferred Chase card. Would this offer work if I upgrade the card to a preferred one? Thanks~! Try that again in English please? Even if they deny you just give them a call! When you’re signed into your Chase account just locate the secure message center on the left and send a message! We won’t know until someone tries it and lets us know. You have no other Chase accounts? You may need to wait until the card comes. You can call Chase to get the card overnighted to you for free. Hi Dan and everyone, Sent them a secure message and got the additional 50k points within the hour.. Thanks a mill!! Any way to get some more?? Lol.. THANKS DAN THANKS DAN AND AGAIN THANKS DAN!! Just send them an SM, got the extra 50,000 points! SM worked for me, got the 50,000. TY! The credit card will show up there under your checking account by itself within a couple days. If I don’t have another chase account checking or credit card, can i still get the extra 50,000 miles by asking them to match the s6v promotion? If so, how do i phrase the secured message or ask for it over the phone? Yes, just wait until you get the card and setup your account online to send a secure message. I’m not going to write the message for you, sorry! you please clarify the above? I sent a message on Fri asking them to match the offer for 80,000 which they did, then yesterday i asked them to adjust it again to 100,000 and they did it again! Sent SM, and received point shortly thereafter. Thanks! Thanks for the advice on the card. I just applied and was instantly approved. I tried to create an acct but did not have a current account with Chase so I took your advice and called them asking them to overnight which they are doing. I think I made a mistake though, because I asked them to match for the 100,000 and the women said that is something thats by promotion only. So will this cause me problems if I now email them? Thanks for your help. Yippy. Just sent 2 SMs for myself and wife and got 50K x 2 within minutes! Thanks Dan! Based on the information you provided. If I for example have a chase freedom card with 60k points and now sign up for a sapphire card I can transfer freedom points to the sapphire card which then can transfer to continental 1:1 miles is this correct? got the extra 50k on both cards!! ELI, THERES A 174 OTHER COMMENTS, FOR GOODNESS GRACIOUS, SCROLL UP!!!!!!!!!!! How do I use the Sappfire Miles for Hyatt Hotels? Do I need to first open an account on the Hyatt website ? Dan, Your recommended 30 day wait between chase apps are determined by when the app was submitted or when finally approved? Thanks for all your continuous help. Yes, open an account there first. Sent in from my Mom’s account, and was told I would need to resubmit a request after spending $3000. Rejected again. I think they see the previous emails because the same rep quoted a paragraph straight from the first email. rejected too. last night they responded that they cant give me the 100k because my rewards acct is not yet active and i should try again once its active. tried again today and got rejected. Seems like all the sudden people are getting rejected tonight. Just got denied seven hours after sending SM. Boo hoo. Was denied this afternoon as well :(…………..sent them another letter in dissatisfaction, we’ll c how they respond. So not cool. This would’ve been really nice to get. Nu NU, u win some, and u lose some. I also got rejected. I was wondering if anyone had any luck when calling. I want to send them a SM but I want it to sound correct. Can you give a very brief description of promotion code S6V so that I can explain it to them correctly. There is no “proper description of S6V. It’s just targeted offer code (which gives 100k for $3,000 spend). In all likelihood, you’ll get shot down, (no one, to my knowledge has been approved since about late afternoon yesterday) but just mention the code, that it offered 100k for $3000 spend, and cross your fingers. Good luck. Both my wife and I got rejected. Sent another SM asking them to reconsider. so has anyone got the match since yesterday maybe chase is catching on! requested the extra miles last night and was rejected. resent the request this morning and was rejected. Looks like they closed this up last night. Congrats to those who got in on it, but even for those who didn’t, 50K is still a serious chunk of miles! Do you think if i call them up i can be lucky and get them? when is this deal over? I sent an sm and, like everyone else, was asked to provide an invitation number. I called and the representative said she would submit the request to the research dept and I should hear by mail in 7-10 bus days. She said it was likely to get approved. I’m not sure if that is significant. Dan wrote “then send a secure message from your online Chase account asking them to match offer S6V for 100,000 points”. Does anybody know what S6V is? disappointed and I am sincerely sorry for any confusion. other offers you receive in the future. participation in our credit card program. Dan, do I have to keep trying in sending more SM in order to get the 50K bonus points, or that is a worthless? So can we say party over? The party is more than over. I Called a few days ago and was told that I would get the extra 50,000 points. When I called back to check my account, the new rep said the old rep was wrong and I have no right to get the points! I saw a paragraph saying about earning 10 points for every trasnaction if I have Chase Freedom Card, Chase Checking Account,and a Sapphire Preferred Account. I tried to locate this information on Chase website but unable to find any more info on how this actually works. Just because I have 3 of them, I earn 10 points on every transaction my Chase Freedome Card is swiped? Just that easy? Can anyone please guide me on where I can find details on this? Apparently this promo will not work if you already have a chase sapphire card (non-preferred), and they will not upgrade your card with any premium (50k or 100k points). Big disappointment. dan, can i still try to call or email chase to get the additional 50k (total 100k) ? I sent them a secure message and was denied as well. I then spoke to them over the phone and was told they know there were codes leaked on the internet that people were giving to get the 100k offer and that now they implemented a policy of not extending that offer unless you were specifically targeted with an invitation. Basically they caught on and this deal is DEAD! Wrote to Chase about getting the extra 50,000 points and was refused. The rep. said it was a solicited offer and I would have to provide an invitation number to be eligible for the extra 50,000. Sent another email begging to be considered so we’ll see. Looks like the 100K deal is dead unfortunately. Still 50K Continental miles or Hyatt points is nothing to sneeze at! They can be easily be worth over $1,000. Any idea how to get chase to allow me to do a balance transfer to the sapphire card? B/c on the sign up screen for the 50k offer it says that, balance transfers are included in qualifying purchases. But I just talked to chase and they said I can not do a balance transfer at this time. any idea if you can apply for the chase card if you are unemployed, like homemaker. what do you put in for employer? U can just write bmg..or anything it doesn’t matter so much who employer is. Mayb put down husbands employer cause its same household. Any way to get the extra 50,000 points? Anyone have an invitation for that promotion? I applied for the 100,000 and now they are only giving me 50,000!!! how do i get the 100K? i will spend the 3K but i got 50K points.. i need 100K! any ideas Dan?!!! please! 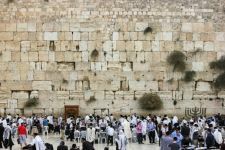 Mazel Tov to you! Asach Nachas! I got approved for the sapphire after calling the reconsideration department. I sent a message to them about the other 50000. They didn’t want to honor it. They forwarded it to the manager. Still not. I sent a new message. Trying. Think it’s still gonna work? I just signed up for the Sapphire card and got approved. I also have the Freedom card for a while. They are telling me I cant transfer my Freedom points to the Sapphire account. Any suggestions on how I can get this transfer to happen? Just logon to Chase, click on ultimate rewards, then manage account and combine points. Has anyone who recevied the bonus 50K points on the Sapphire Card also received the additional 50K points after reaching the spending threshold of $3K? How long does it usually take to show up? where is the link for 50,000 point? I really dont see it !